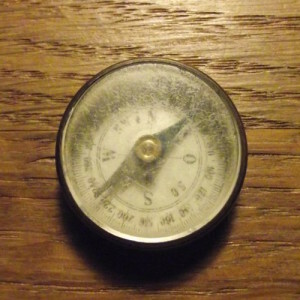 These photos of a small German compass were sent to me by Nikolaas Ottevaere. The compass is 25mm wide and 8mm tall. That’s a bit large to have been an escape compass, but I recently stumbled upon a very similar German compass at a local historical exhibit. It was attached to a WW1 German whistle. So maybe Niklaas’ compass is also of WW1 origin. Both have indicators N-0-S-W, which is German. 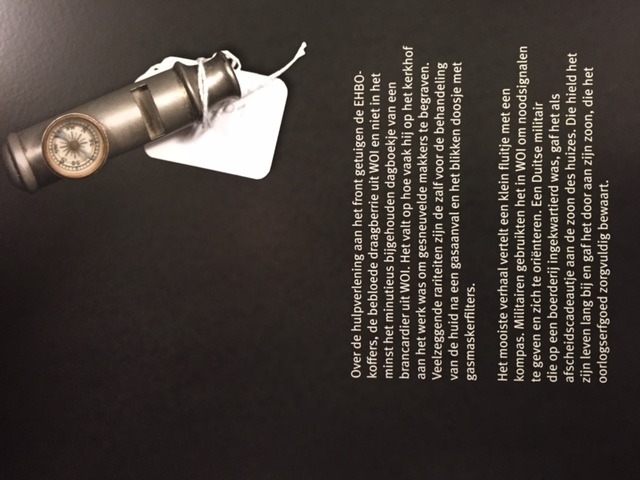 If you click on the picture of the whistle, you will see a photo of the explanation at the museum (in Dutch). It is the Provincial Erfgoedcentrum at Ename, Belgium that has a temporary exhibit of artefacts from WW1 and WW2 on loan from people from the area. In English the bottom part of the caption reads “The best story is told by a small whistle with a compass. 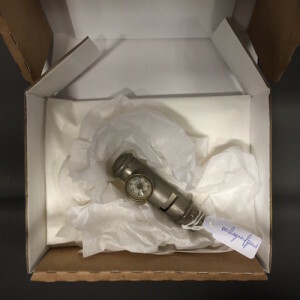 Soldiers in WW1 used it for emergency signals and for orientation. A German soldier billeted at a farm gave it to the farmer’s son as a goodbye present. He held on to it for the rest of his life and then passed it on to his own son who still looks after it today.